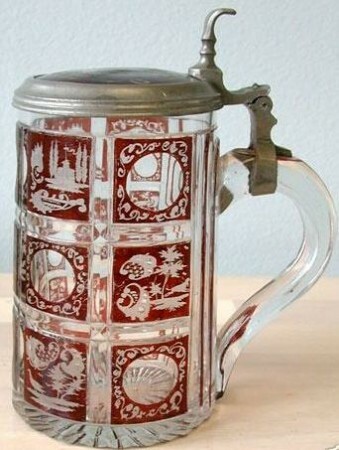 Rimpler – Kristall – A newer glass firm making stained cut glass steins in the old manner. Very good quality. Now located in Theresienthal, Germany. 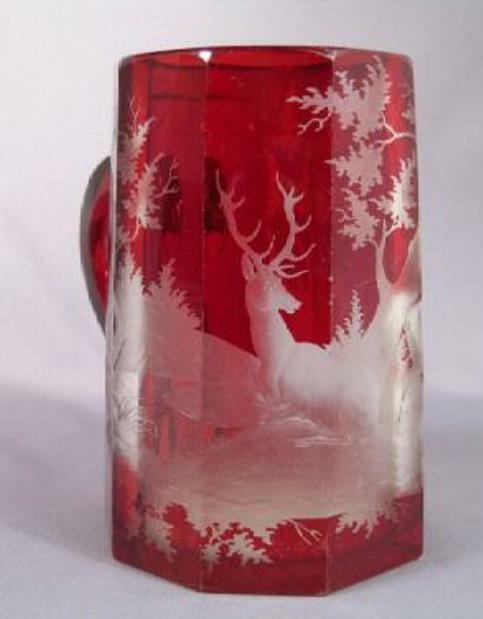 From their website (with a “Goggle” interp): “My grandfather, Emil Rimpler, who was trained in the Haida Glass School in North Bohemia as an engraver and designer, and then ran a craft workshop for glass in Bohemia. 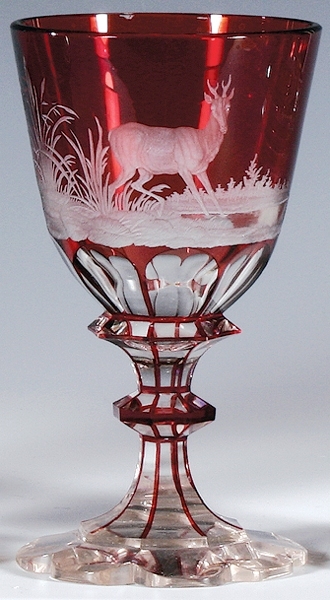 In 1946, the company in Zwiesel Rimpler CRYSTAL. 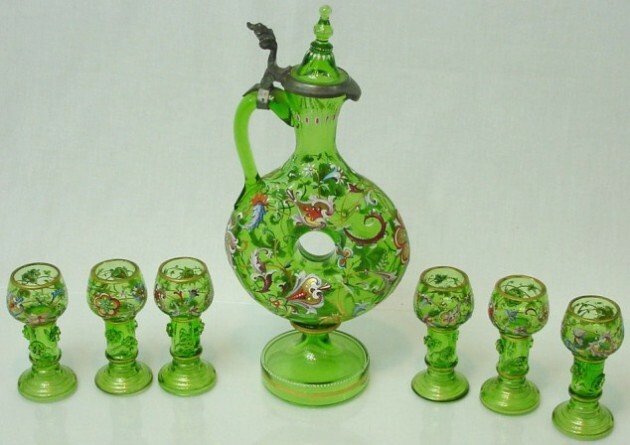 His love and deep connection to the precious material glass Emil Rimpler showed untiring dedication to the craft of Eastern Bavaria, which was developed by the federal government recognized multiple times by earning medals and honorary letters. Rimpler Emil died in 1999 at 88 years. 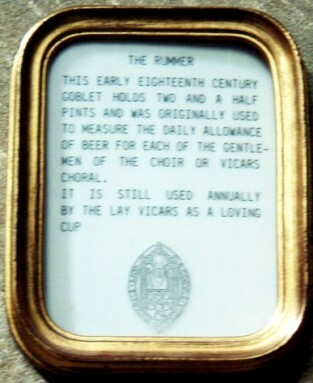 My dear grandmother, Mary Rimpler – the soul of the company – died in May 2004. 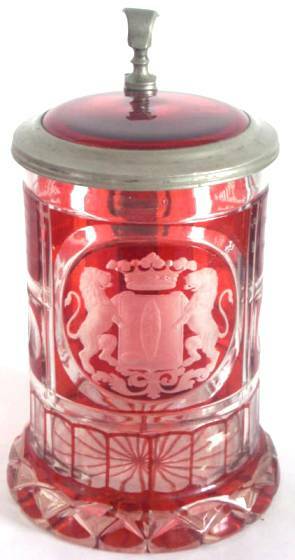 The ÄERA Rimpler crystal in the House of specialist Schulstrasse Zwiesel ended after 52 years on 1 October 2007. After closing of the company in the professional school road, I decided in 2007 to open my studio in the warehouse sale of the company Theresienthal. 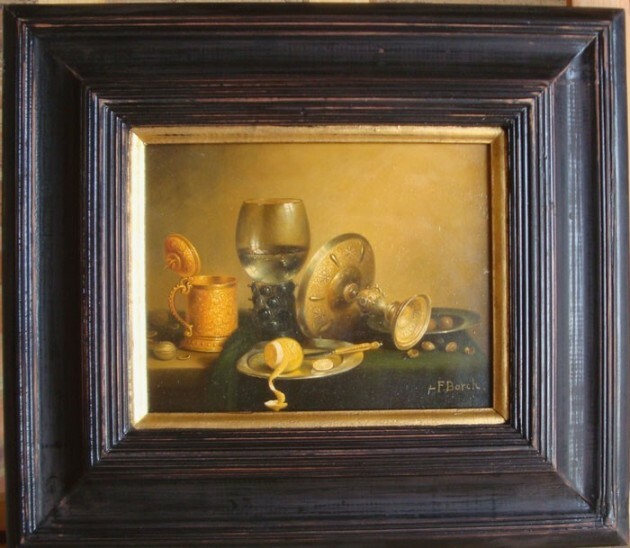 With an excellent sense of harmony-class engravers on glass, grinders, Kugler, painter and gilder connect to my workshop, the knowledge of the past with the demands of modern man. Through the combination of grinding, engraving, painting and etching occur on hand-blown crystal glass valuable unique items signed as a desirable collector’s glasses, glasses and artful reminder magical friendship cup.” New location from 20 Oktober 2007: October 2007: Firma Christine Schimkowski Company Christine Schimkowski Theresienthal 25 Theresienthal 25 , Storage building sale Internet: www.rimplerglass.com Internet: www.rimplerglass.com >>>>>>>>>>>>>>>>>>>>>>>>>>>>>>>>>>>>>>>>>>>>>>>>>>>>>>>>>>>>>>>>>>>> ……………………………………………………………………………………………………………………………….. This photo is not a ring flassche It is what we (Dave and I ) are now calling a “Moon Flask” as the center is completely covered. 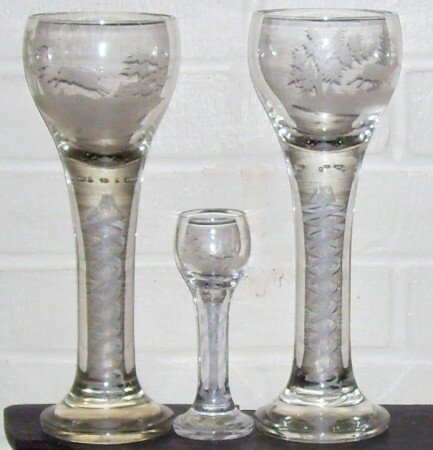 Not to be outdone, this nice looking wine set was made by Eggerman [?] about 1890. 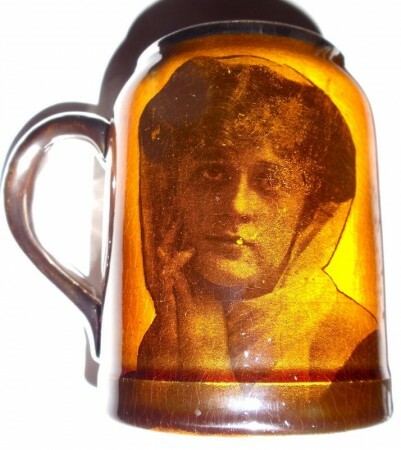 The process of making the ring jug was very hard work and not many are found in glass. 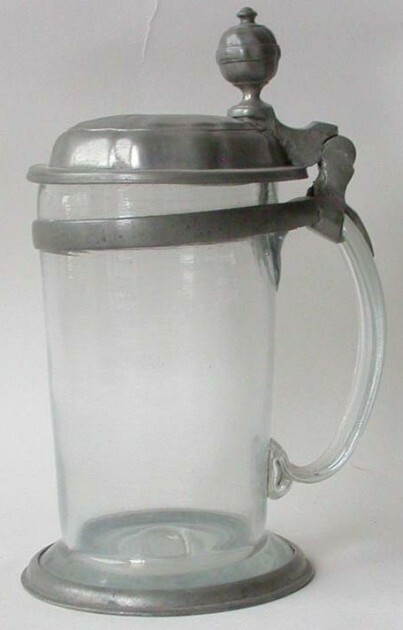 **Double ring jug ▼– Comes with two large circular rings making it appear to have 4 sides. 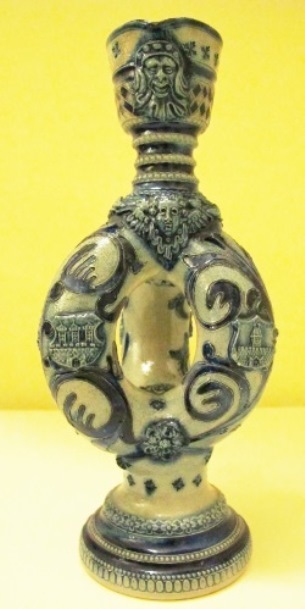 Most often found in a large size, these saltglazed stoneware “ring jugs” were both made in the Westerwald and Regensburg city and copy the older 1500 -1600’s versions, many of which were not colored. 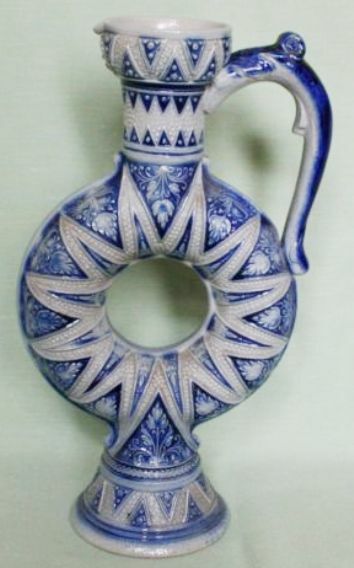 Also see: “Triple half-a-ring jug” three photos below. 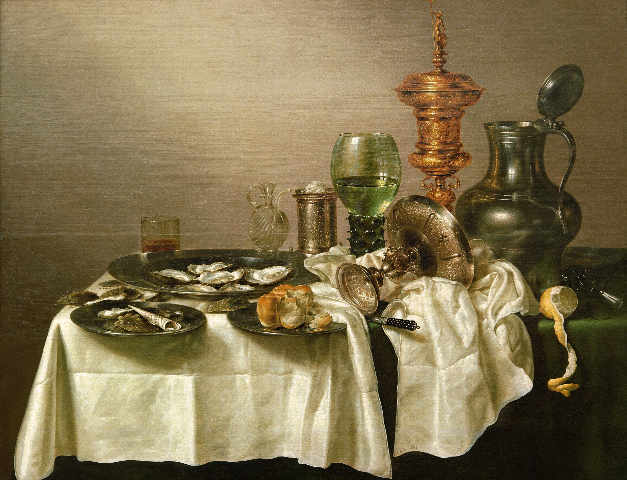 Detail of baby Bacchus, grapes and a keg. 9 in. 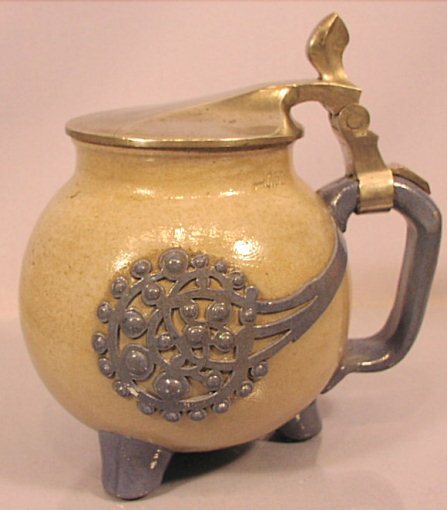 tall stoneware “triple half-a-ring” jug. Westerwald. Ca. 1890. Roebuck – A smaller German Male deer of the Roe family. 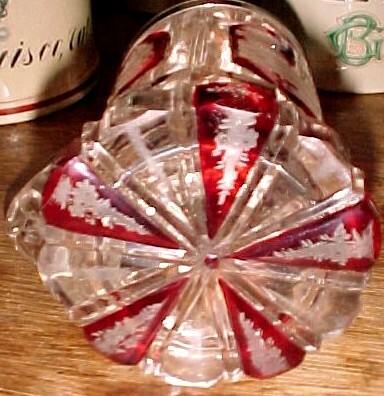 Shown ▲: Bohemian ruby stained, cut-to-clear pokal; probably sans lid! Circa 1870, with excellent wheel cutting. 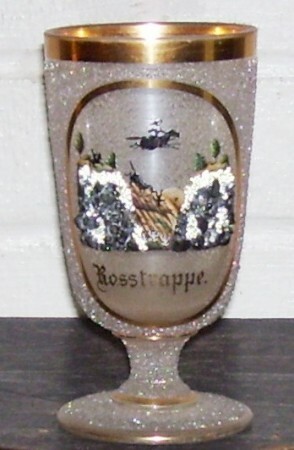 Roemer – A wine glass from the Rhine – Mosel river’s area, for drinking white wine. 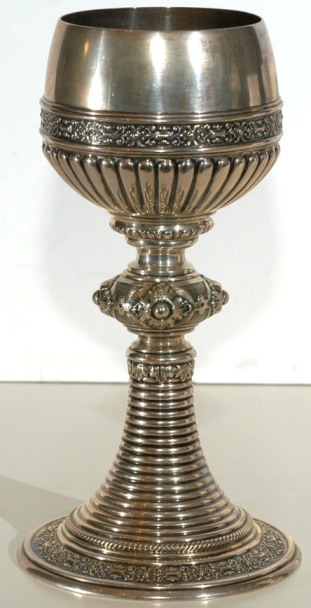 Originally made of dark green “waldglas.” Shown above ▲: German, made of .800 silver, 8 inches tall. Ca. 1890. 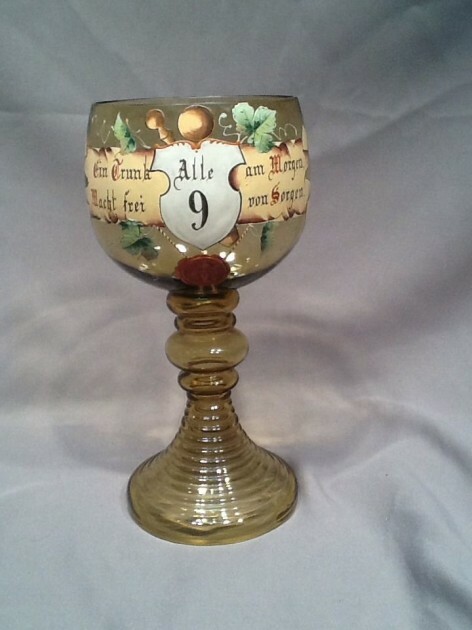 ▲ A glass Roemer obviously for someone who liked German white wine with his Kegels better than beer. For more on this sport See: http://www.steveonsteins.com/kegels-and-pigs-the-predecessors-to-our-10-pins. 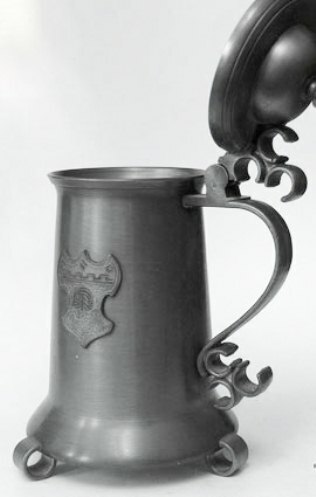 Romanian drinking vessels – Not many come up on the web or in USA collections, so we’ll have to settle for theses displays, which are probably some of the best examples. ……………………………………………………………………………………………………………………………………. The two to the far right 2md row from bottom [in green and pink surround ] can be easily taken for Hungarian piece, ………………………………………….. 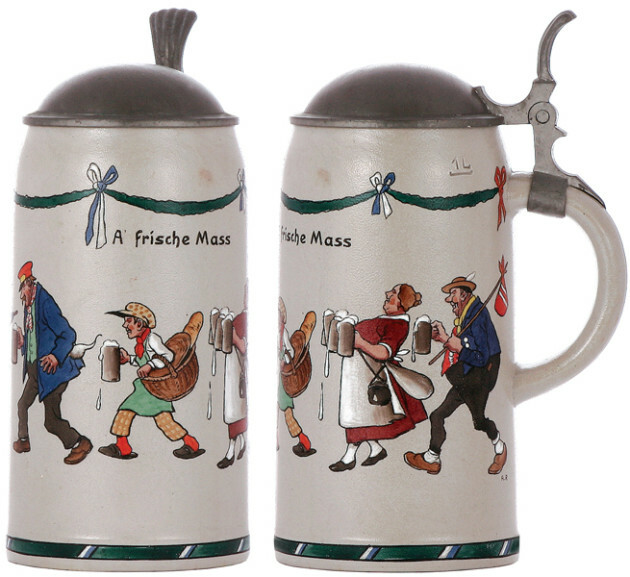 There is not much difference, if any, between the two beer mugs on the far right second level up, and two I believe were made in Hungary. At least I bought them from a Hungarian dealer. 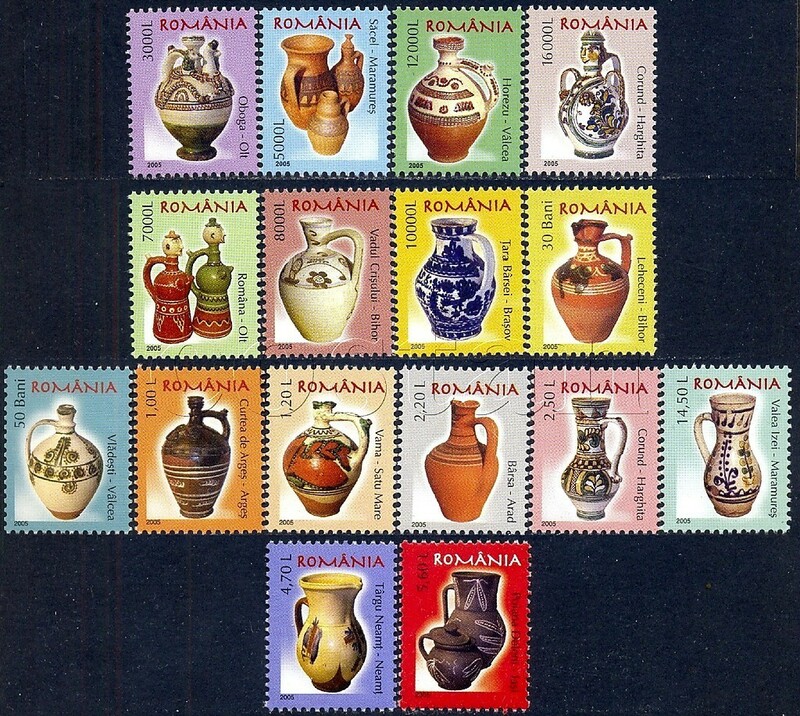 See below .▼ Far left and inside right : These are pottery puzzle mug from Slavokia and the inside left and far right are Hungarian or Romanian. [FWTD] >>>>>>>>>>>>>>>>>>>>>>>>>>>>>>>>>>>>>>>>>>>>>>>>>>>>>>>>>>>>>>>>>>>> RMG – (maker’s mark) / RM [inside a large G] = Reinhold Merkelbach, Grenshausen. 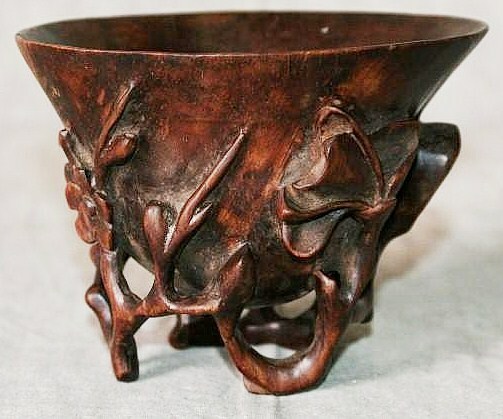 See: http://www.steinmarks.co.uk/pages/pv.asp?p=stein1 >>>>>>>>>>>>>>>>>>>>>>>>>>>>>>>>>>>>>>>>>>>>>>>>>>>>>>>>>>>>>>>>>>> Rookwood Pottery, Cincinnati, Ohio –– See article –http://www.beerstein.net/articles/rookwood.htm >>>>>>>>>>>>>>>>>>>>>>>>>>>>>>>>>>>>>>>>>>>>>>>>>>>>>>>>>>>>>>>>>>> A very large (13 inches tall,) relief porcelain set-on-lid stein – used for display only, as itwould be too heavy with beer in it. 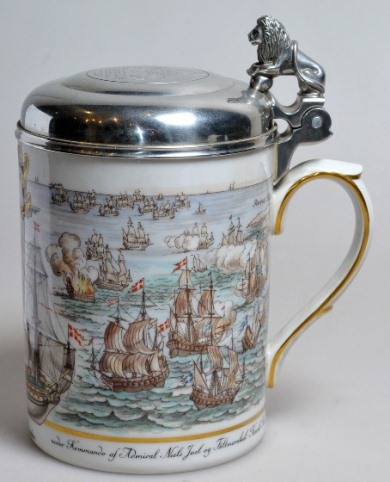 [Stephen Smith Collection] ……………………………………………………………………………………………………………………………….. Rorstrand – Swedish porcelain manufacture. 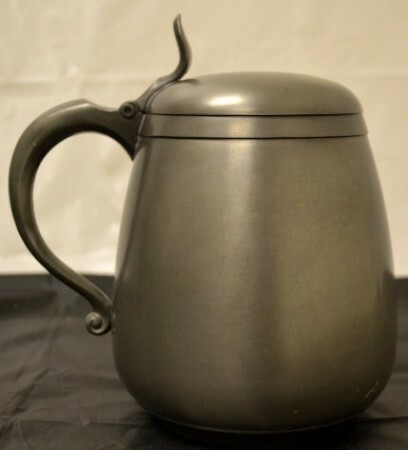 I am 100% certain this series came without pewter lids, they were added later. 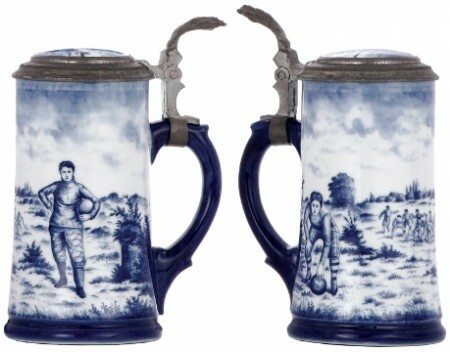 See page this web site: http://www.steveonsteins.com/rorstrand-pottery-beer-steins-servers-beakers-etc-awpd Also See: http://www.steinmarks.co.uk/pages/pv.asp?p=stein1 >>>>>>>>>>>>>>>>>>>>>>>>>>>>>>>>>>>>>>>>>>>>>>>>>>>>>>>>>>>>>>>>>>>> ………………………………………………………………………………………………………………………………… Rosenthal – Bohemian ceramic stein maker. 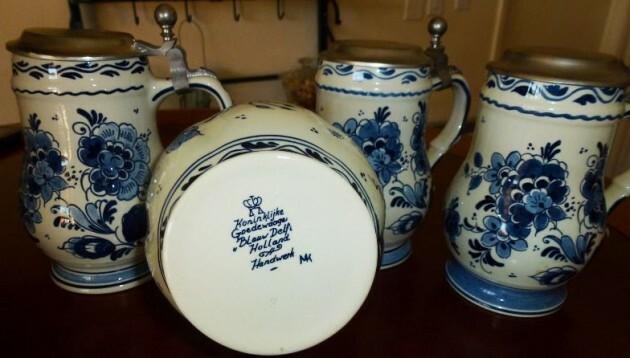 Phillip Rosenthal (1855-1937) began business in 1884 by purchasing white ware from Hutschenreuther and selling designs, handpainted by his wife Maria, door to door. 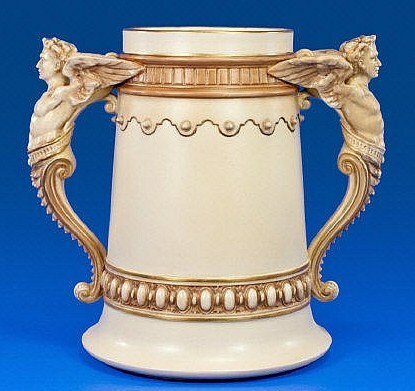 In 1891, he established a factory in Asch, Bohemia and began production of white ware for use in his workshop. 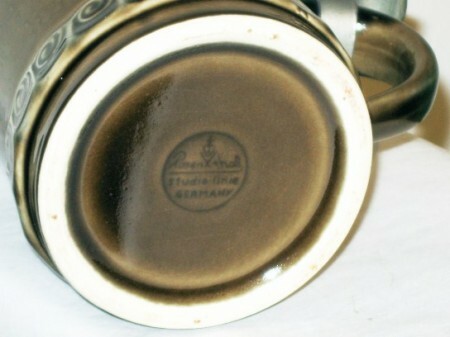 From 1897 to 1936, Rosenthal acquired factories in Kronach, Marktredwitz, Selb, Waldenburg, Sophienthal, and Waldershof. 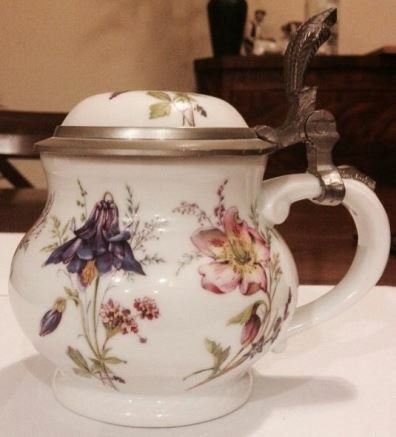 The popularity of the Maria White and Moss Rose patterns helped the business grow rapidly. By the time of WWII, Rosenthal operated 10 companies and employed over 5,000 people. When the war ended, Rosenthal’s son, Phillip, returned to Germany where he modernized out of date factories and reestablished lost markets. Phillip quickly rebuilt the business by reaching new markets interested in the modern shapes and artistry of his dinnerware. 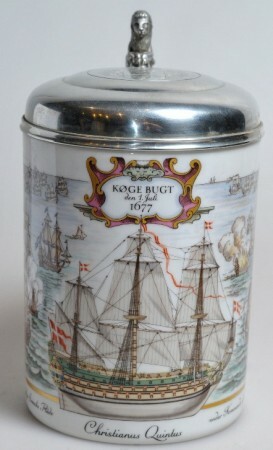 [Sourse: http://www.chinafinders.com.au/Histories.asp] For more company info see: http://www.steinmarks.co.uk/pages/pv.asp?p=stein1 <<<<<<<<<<<<<<<<<<<<<<<<<<<<<<<<<<<<<<<<<<<<<<<<<<<<<<<<<<<<<<<<<<<< Rose mark – The impressed / stamped mark into the pewter (whatever), showing a large Rose (mostly found with a crown.) This is a quality mark for most of Northern Europe in the olden days. 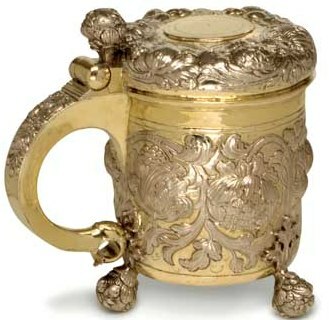 It is still found on reproductions and some newly made pewter steins. 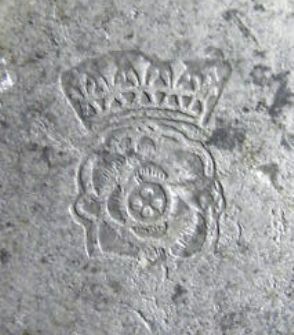 >>>>>>>>>>>>>>>>>>>>>>>>>>>>>>>>>>>>>>>>>>>>>>>>>>>>>>>>>>>>>>>>>>>> Rosette (and Bodenrosette–  A molded relief maker’s mark found on the inside bottom of some pewter steins. mostly South German and Austrian, as above. 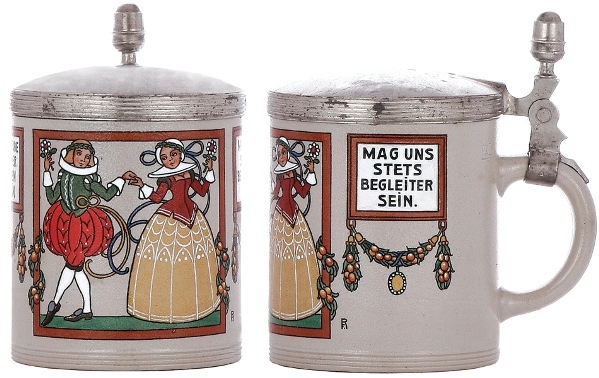 The official name for this stamp is BODENROSETTE, however being American we have shortened the everyday use of the word to simple Rosette which many times complicates the communication process of talking about pewter steins due to  just below ▼. 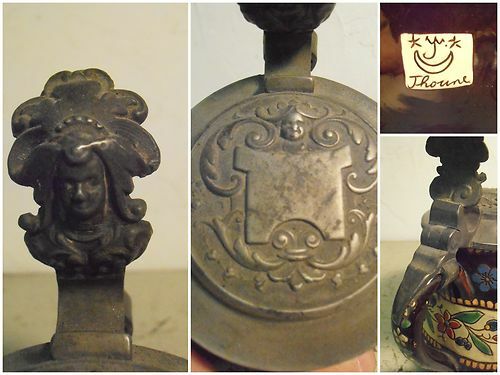 The covering of the pewter hinge on a stein when it is molded with a fancy design, and not just a smooth button. 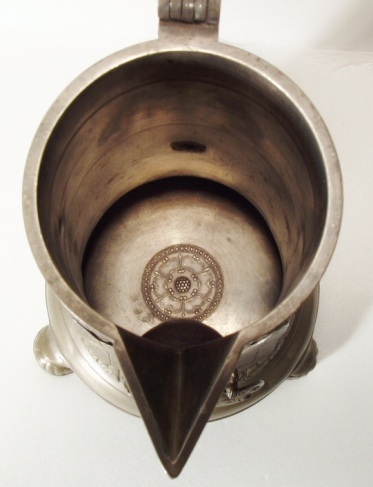 Shown below: A “rosette” covering the hinge on a Theresienthal server. >>>>>>>>>>>>>>>>>>>>>>>>>>>>>>>>>>>>>>>>>>>>>>>>>>>>>>>>>>>>>>>>>>>> ……………………………………………………………………………………………………………………………….. Rosstrappe – A famous mountain location in Germany where a woman on horseback out jumped a stupid male (who was after her body) making it from one side of a cliff to the other, while he did not. Her horse’s shoes hit so hard they have left an imprint into the stone ever since (a natural rock formation – but a great story.) 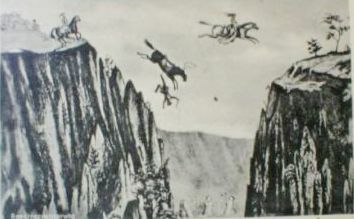 Shown two above: Applied crushed glass on clear glass beaker, about 5 inches, with very heavy enameling showing the woman jumping the gorge. C. 1880. [FWTD] Above: A print showing the pursuit a little better. 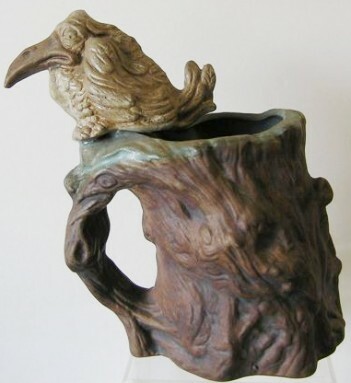 This beaker is listed on my “For sale” page. 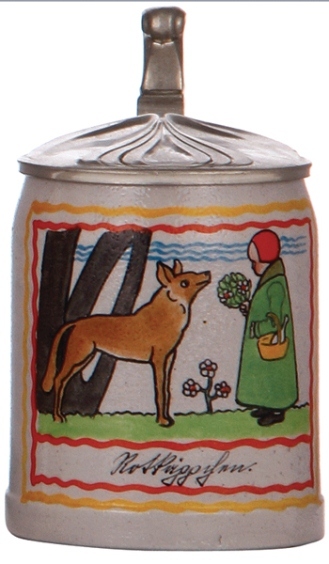 >>>>>>>>>>>>>>>>>>>>>>>>>>>>>>>>>>>>>>>>>>>>>>>>>>>><<<<<<<<<<>>>>> “ROTKÖPPCHEN”, or “LIittle Red Cap” (English: Red Riding Hood) – One of, if not the most famous of all the German Fairy Tales. 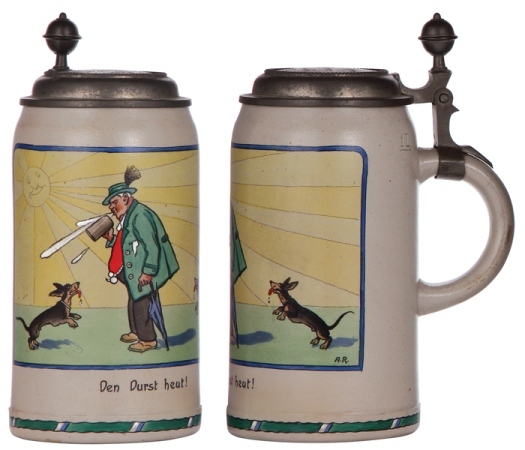 Many steins are devoted to her. 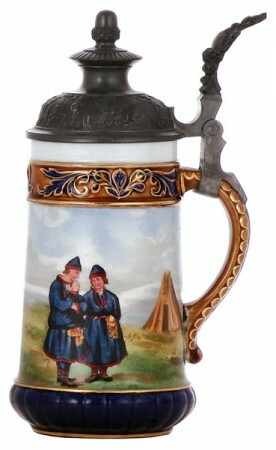 Shown: Stoneware stein, .25L, (5.2″ ht.) 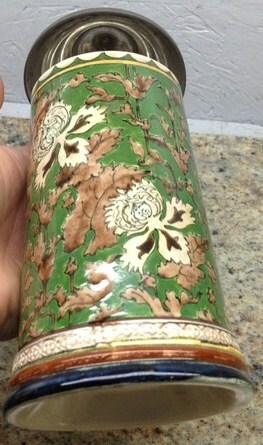 transfer & enameled. 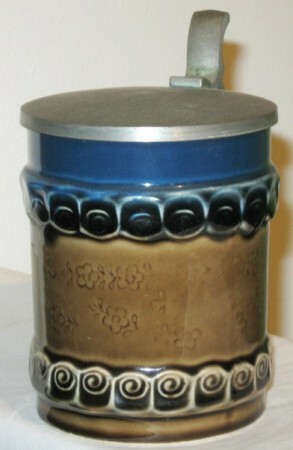 Designed by F. Ringer. 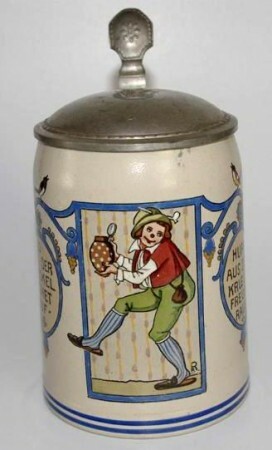 [TSACO] Also see “Some German Fairy Tails”: http://www.steveonsteins.com/some-german-fairy-tales-on-kinders-wrk-draft-stdtd-11-27 >>>>>>>>>>>>>>>>>>>>>>>>>>>>>>>>>>>>>>>>>>>>>>>>>>>>>>>>>>>>>>>>>>>> Roune, J – Small production maker of majolica type steins. French? 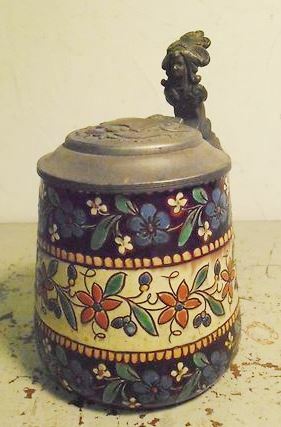 Ca 1880.Not listed at “Stein Marks” web site. ………………………………………………………………………………………………………………………………….. 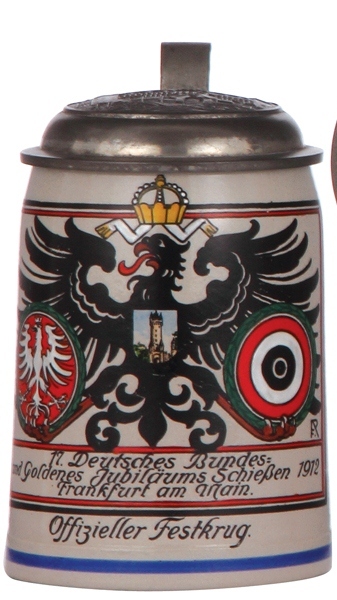 Details of the above stein. 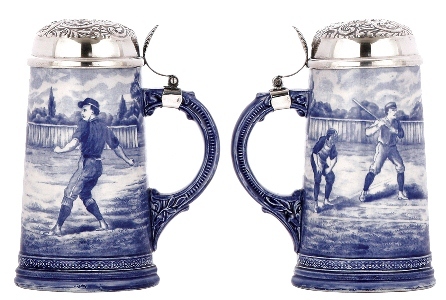 >>>>>>>>>>>>>>>>>>>>>>>>>>>>>>>>>>>>>>>>>>>>>>>>>>>>>>>>>>>>>>>>>>>> Royal Bonn steins – Shown: .5 liter Baseball scene with silver lid. 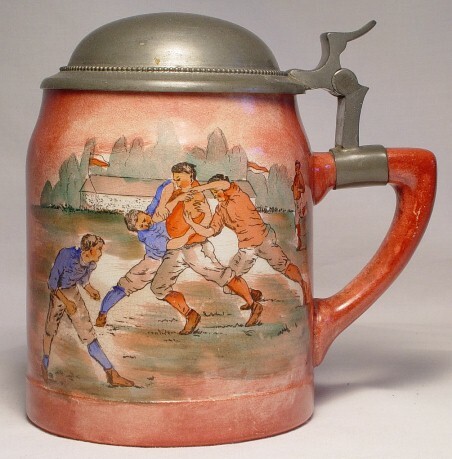 This series is mistaken for Lenox steins a lot. 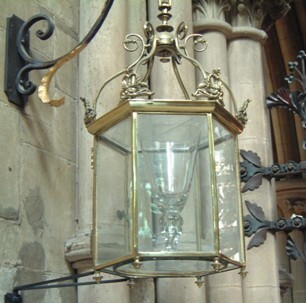 See: http://www.steinmarks.co.uk/pages/pv.asp?p=stein148 …………………………………………………………………………………………………………………………………. 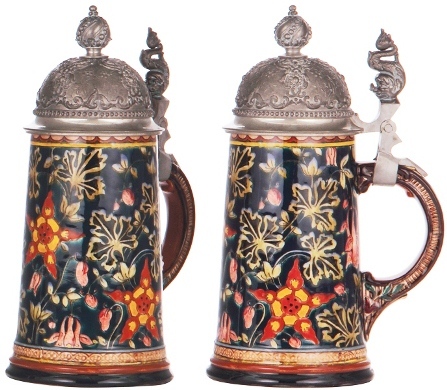 Another version of Royal Bonn steins. PDG = Pretty Damn Gaudy, but check out the Dolphin thumblift. ………………………………………………………………………………………………………………………………… ……………………………………………………………………………………………………………………………….. And another off beat, mosaic type of design. Mark below. ……………………………………………………………………………………………………………………………… ……………………………………………………………………………………………………………………………… ……………………………………………………………………………………………………………………………….. .………………………………………………………………………………………………………………………………. Above three: Another one which is more in line with those the firm is known for. 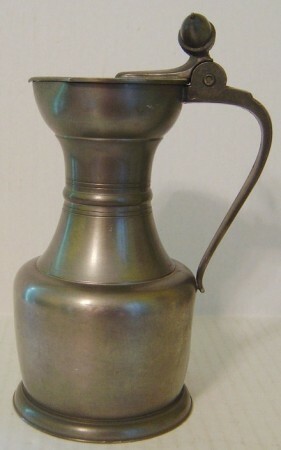 A.5 liter, with its Delft mark. 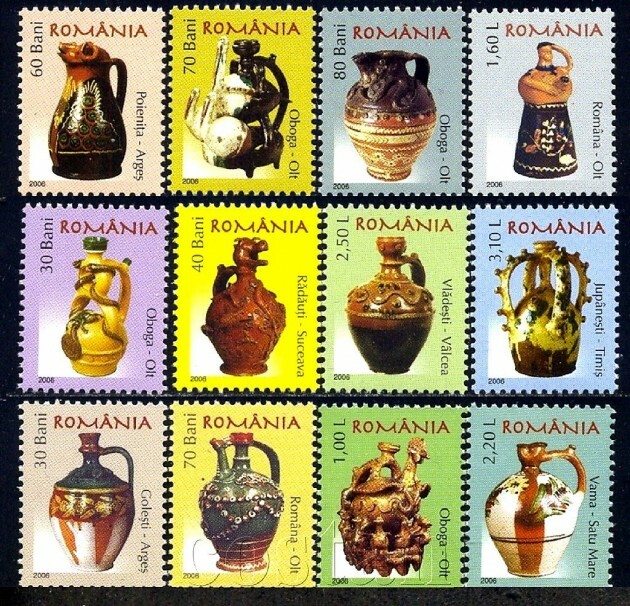 Ca, 1890 >>>>>>>>>>>>>>>>>>>>>>>>>>>>>>>>>>>>>>>>>>>>>>>>>>>>>>>>>>>>>>>>>>>> ……………………………………………………………………………………………………………………………….. . ……………………………………………………………………………………………………………………………… Royal Copenhagen steins – The Royal Danish Porcelain Manufactory, which later became Royal Copenhagen, was founded as the result of experiments carried out by the pharmacist, Frantz Heinrich Müller (1738-1820). 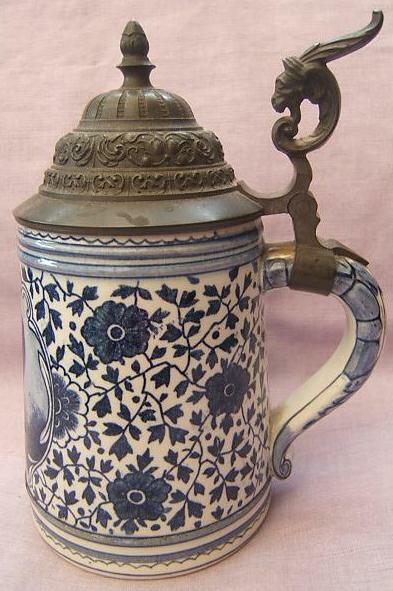 For more info see: http://www.steinmarks.co.uk/pages/pv.asp?p=stein1 >>>>>>>>>>>>>>>>>>>>>>>>>>>>>>>>>>>>>>>>>>>>>>>>>>>>>>>>>>>>>>>>>>>> Silver lidded Doulton beer server . 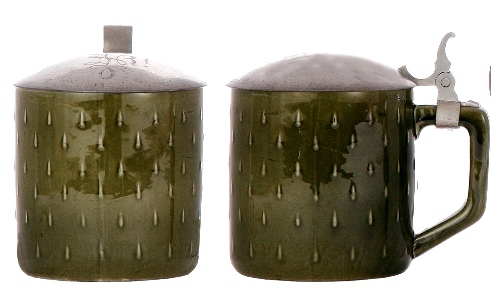 with incised cats. 10 inches tall. ………………………………………………………………………………………………………………………………………………………………………. 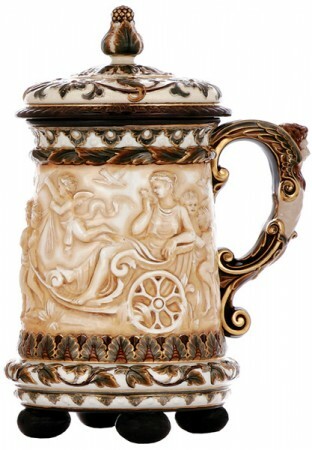 Royal Doulton – The name of Royal Doulton is today synonymous with the best in English fine bone china tableware alongside their crinolined lady figurines. 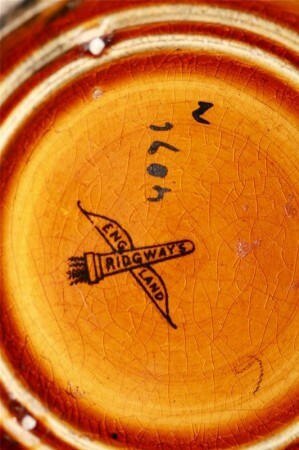 So it’s difficult to believe that the company’s fortunes were founded upon the making of salt glazed stoneware sewer pipes. 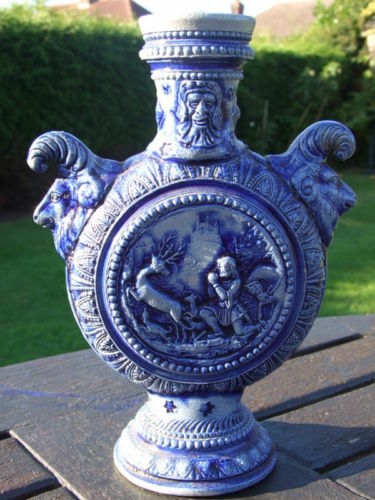 It all began shortly after the Battle of Waterloo when in 1815 a young John Doulton set up his own pottery in Fulham at a cost of £100. Henry Doulton, son of the founder, was responsible for the diversification from sanitary and other industrial and chemical products. 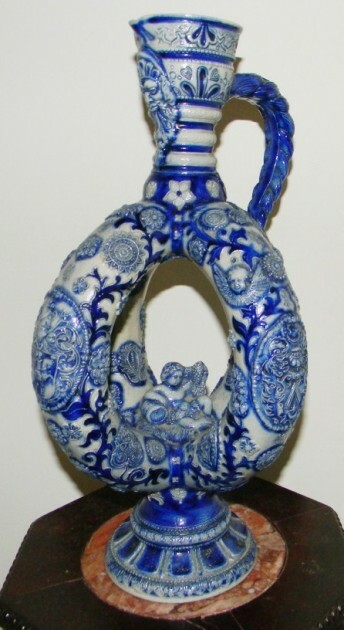 The situation of the pottery close to the Lambeth School of Art prompted Sir Henry, to employ several lady students and set up an Art Pottery which grew throughout the 1870’s. Since then the company has achieved international fame for its extensive range of wares and products Since then the company has achieved international fame for its extensive range of wares and products. 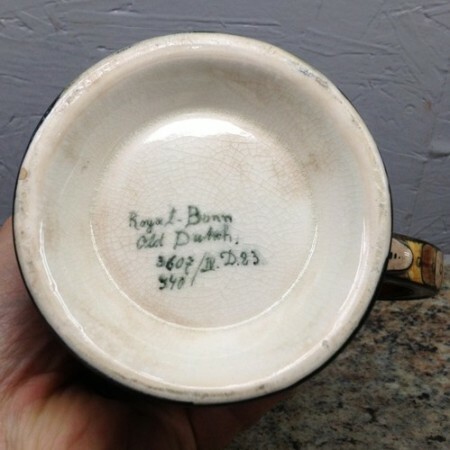 There are no shortage of collectors for virtually anything carrying the Doulton and Royal Doulton trademarks. The Royal Warrant being awarded in 1901 by Edward the Seventh. 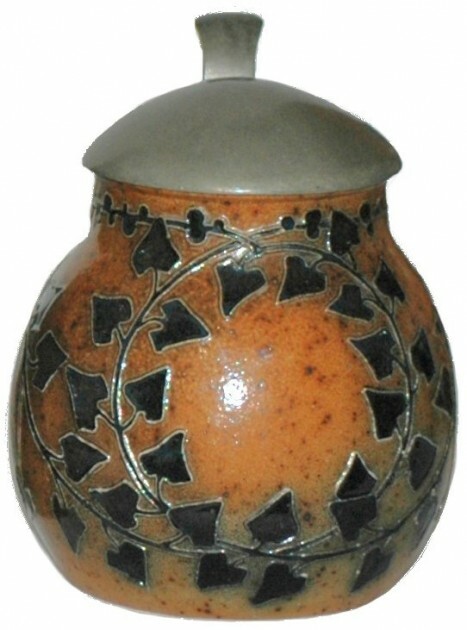 Possibly the most desirable of all Doulton’s products were made at this period of the firms history – stoneware art pottery. 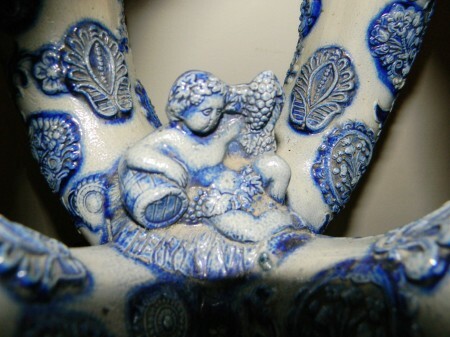 Doulton collectors understand that when it comes to collecting stonewares its usually a question of names and size. Important artists to look out for include the great and celebrated Victorian sculptor, George Tinworth, Mark V Marshall and his grotesque beasts, Frank Butler and his high relief work. The most prominent lady artists were the Barlow sisters of Hannah, Florence and Lucy, Hannah being the more famous of the three. 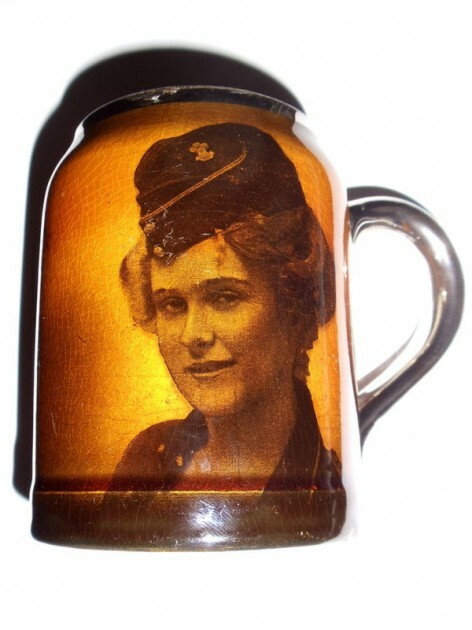 Others are Eliza Simmance, John Broad and the work of decorators and designers such as Francis C Pope, Harry Simeon, Leslie Harradine, Vera Huggins and Agnete Hoy (Comps of AD Antiques Ltd. Gloucestershire The vast majority of this company’s so called tankards are really only mugs. Lots of English silver smiths have added nice lids to some of these piece and then they do for the most part, look nice and collectable. BUT NOT THE ONE BELOW!!! it makes me sick !! 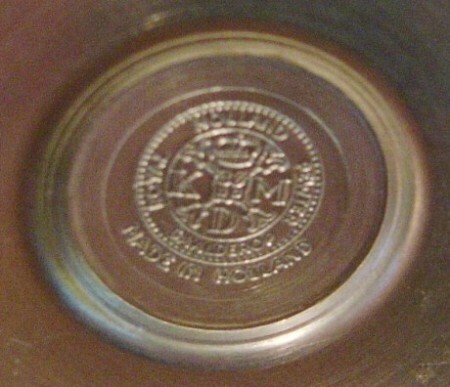 Royal Holland – Maker of pretty cheap pewter wares in the late 20th century. 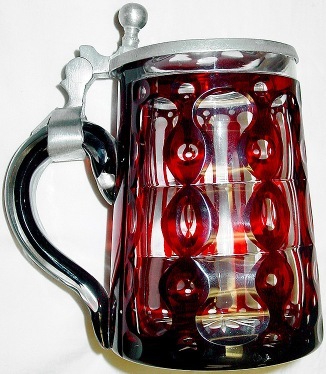 Shown: Their “Daalderop series” flagon. …………………………………………………………………………………………………………………………….. Also “Daalderop” – 36 FL. OZ., 6 inches tall. 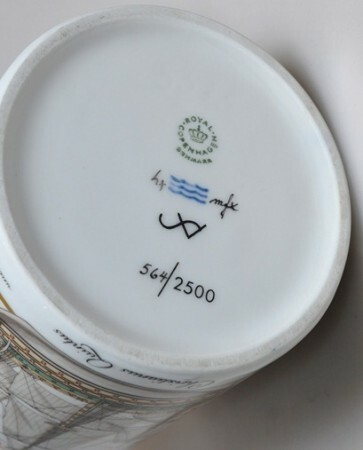 ………………………………………………………………………………………………………………………………… Royal Holland mark. 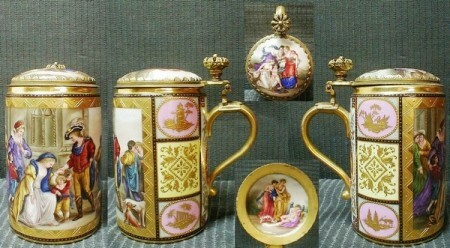 Royal Tuttau steins – A newer porcelain stein making firm located in Bavaria. 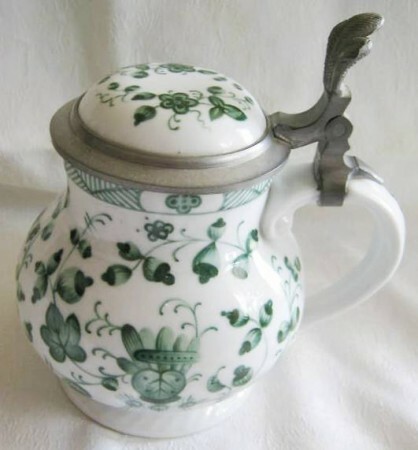 ▼ A .5 liter “Irish Onion Pattern” stein (a take off on the “French Onion” only in green! 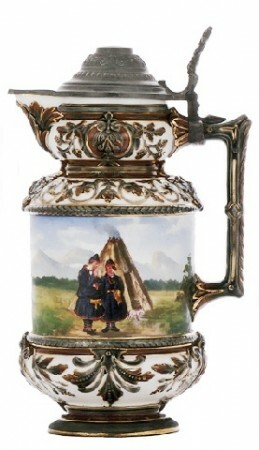 Royal Tuttau steins – A newer porcelain stein making firm located in Bavaria. 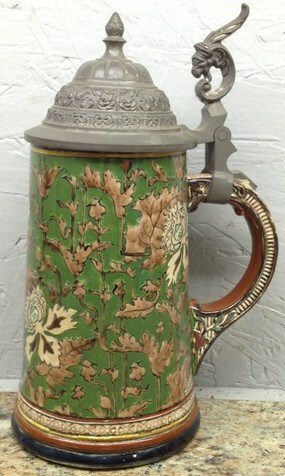 Shown: A .5 liter “Irish Onion Pattern” stein (a take off on the “French Onion” only in green!